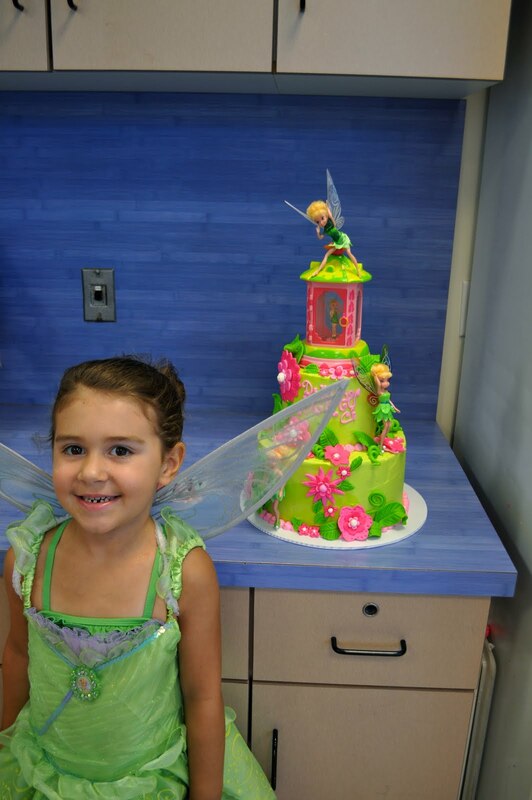 This Tinkerbell Cake was made for Brinley's 5th Birthday Party at Keller Pointe. (What a crazy place btw! They have an indoor and outdoor water park!) 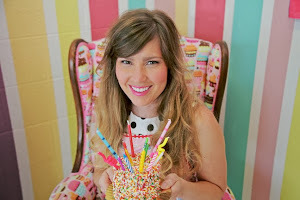 Brinley practically designed the cake herself, and what a good job she did!! She wanted a green cake, dark pink flowers, and her name in light pink. I think she definitely has a future in cake design people!! 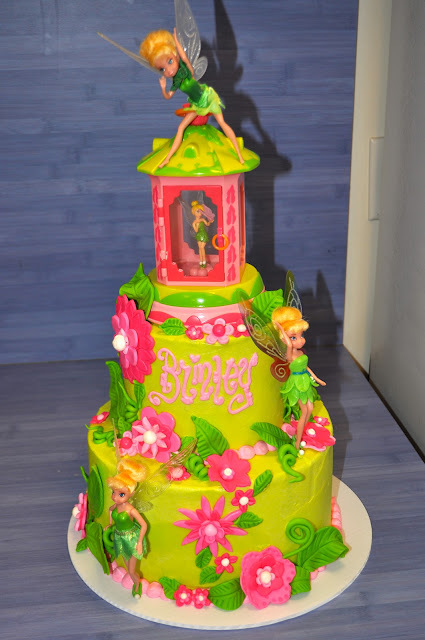 The cake is a 6" and 9" white and chocolate cake with buttercream filling, "Tinkerbell Green" Buttercream frosting, and lots of fun and whimsical fondant fairy flowers and leaves. I had a blast making this cake!! 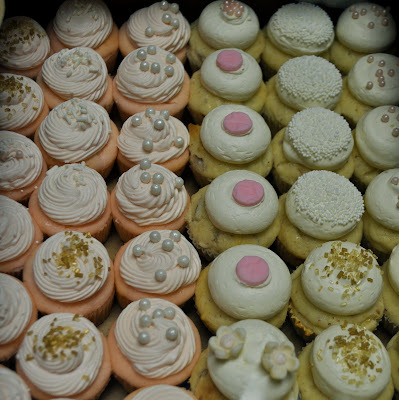 Here are some mini cupcakes for one of my favorite clients, Miss Candice, and yes, I pick favorites!!! :) It is 3 dozen white and red velvet with buttercream frosting. 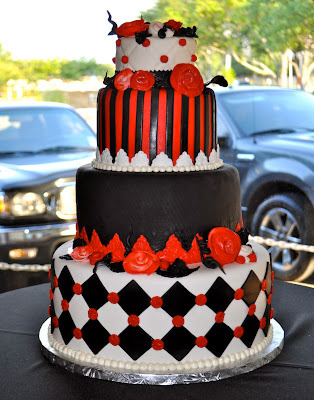 She was throwing a little Vegas themed shindig with black, red, and white as the colors. MMMM mini cupcakes for breakfast anyone? Yes please!! Just looking at these makes me hungry!! 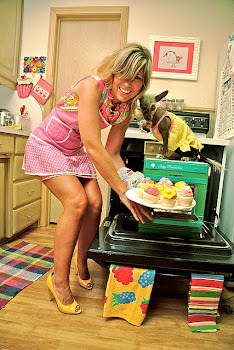 And PS people ask me all the time do I eat cupcake everyday? Yes!!!!! Multiple times a day! 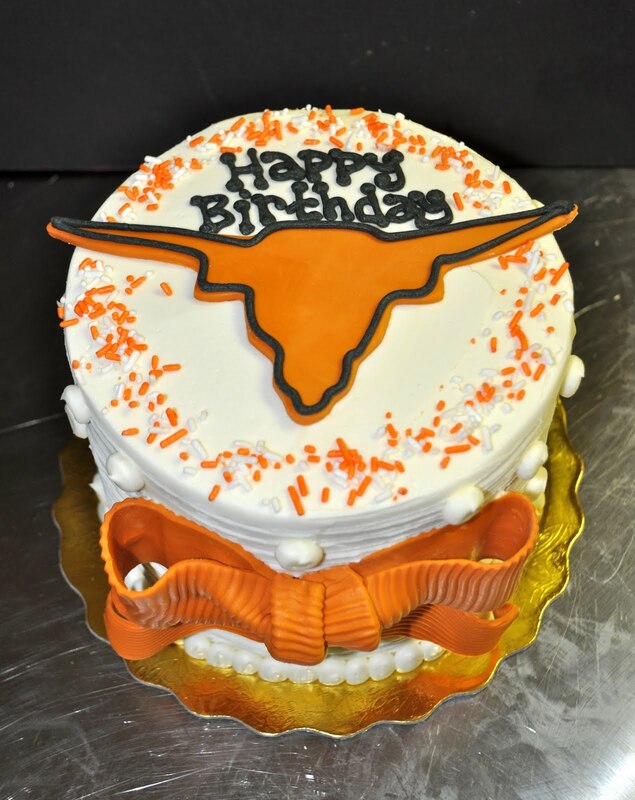 Here are two more fun little 6" Longhorn Birthday Cakes! The first cake is a chocolate cake with buttercream filling and frosting, and the second cake is a marble cake with buttercream filling and frosting. The longhorns, polka dots, and bow are all made from burnt orange fondant. This weekend I had a request for a "cowboy" cake for little Grayson and his smash cake photo shoot for his 1st birthday. Grayson's mom just happens to be an awesomely amazing photographer- so she sent me over these pictures that she took of the cake alone-- which clearly pale in comparison to the pics I take in the kitchen, so just had to share! Isn't the setup so cute?? 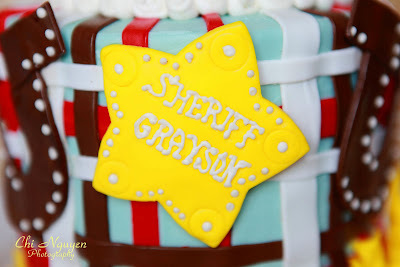 I am anxiously awaiting to check out her blog, and see the pictures of Grayson and the cake!!! The cake was a 6" and 4" white cake with buttercream filling and frosting and lots of fun fondant details! 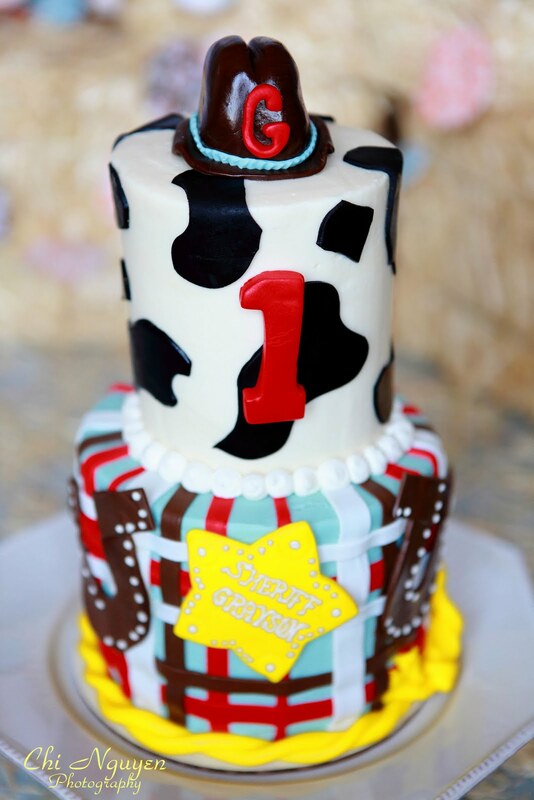 The top tier has a little dark chocolate fondant cowboy hat, black fondant cow print, and red "1". 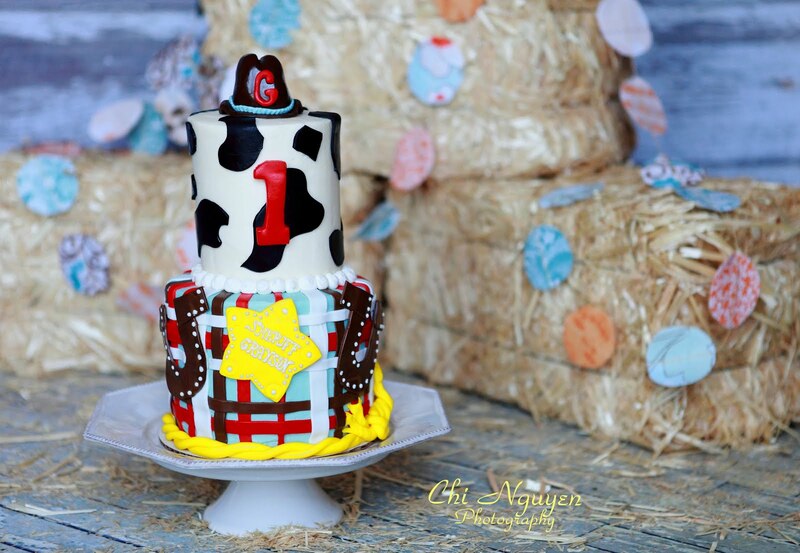 The bottom tier is "plaid" with a sherrifs pin and horseshoes, and a yellow fondant rope border. I love this cake, it may be one of my fav smash cakes ever! Thank you so much Chi for the awesome pics!! 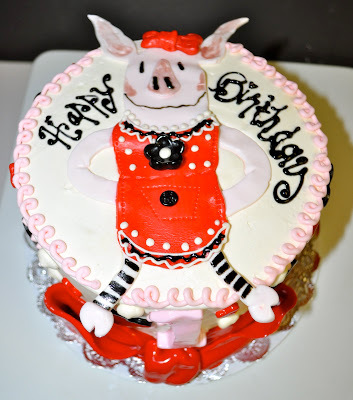 Here we have a smash cake with an "Olivia the Pig" theme! Another theme I have to say I was not familiar with, so I hope I did Olivia justice! The cake is a 6" white cake with buttercream filling and frosting, Olivia and the bow are made of fondant. I am calling this cake the "Burlesque" Cake- but it was actually for an awesome party thrown for Jenna Rabideau who owns Halo Salon on Camp Bowie, Halo Brides Hair & Makeup, and her newest venture "Halo Artists Group"- a DFW talent agency that specializes in all the "behind the scene" talents: hair/makeup/photography/set design etc. The party was a joint birthday and launch of Halo Artists Groupe- showcasing all their great work! The party theme was kind of a mixture of circus/burlesque/oddities, and Jenna requested the cake be black and red. I had so much fun making this cake! I love when clients give me free range to basically do whatever I want along the lines of the theme. The tiny top quilted tier, and red and black striped tier were both almond cake with buttercream filling. 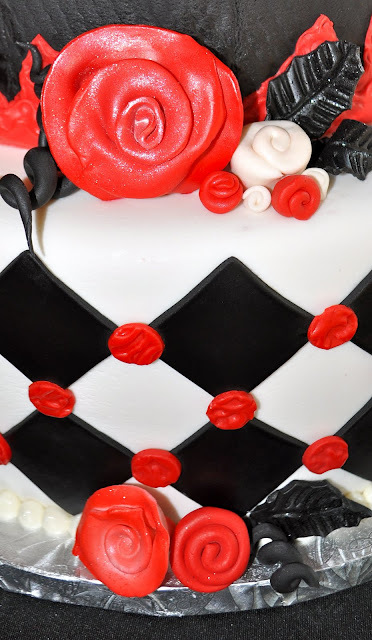 The black tier which had a "fishnet" texture, and red lace border was a 9" red velvet cake with cream cheese filling, and the bottom harlequin cake was a 12" quadruple chocolate cake- chocolate chocolate chip cake, chocolate buttercream with drizzled chocolate!! 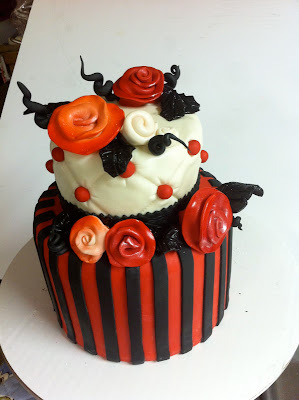 The roses were made of fondant, airbrushed, disco/sparkle/and luster dusted, along with black glitter leaves. Well I am not a gamer, nor do I have too many apps on my iphone, so I had to do a little research when I got a request for some "Angry Birds" cupcakes!! They are 2 dozen cupcakes- white, chocolate, and strawberry, all with buttercream frosting. The birds, pigs, and golden eggs are all made out of fondant! Oh yes, I know what you're thinking: Bumblebee's??? But Leah, you said Ladybugs are the new THING! ... Well I'm here to inform you people: L-Bugs are out, and Bumblebees are IN!!! (PS it's 2AM and I am updating my blog, can you tell I've lost my mind?!?) 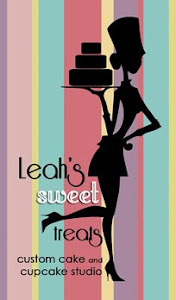 Burnin' the midnight oil over here at Leah's Sweet Treats Headquarters......!! But for the record, Ladybugs will never be out! I just decided to change it up a little with some cute bumblebee's! This cake is another 8" sour cream chocolate cake, with buttercream filling and frosting. 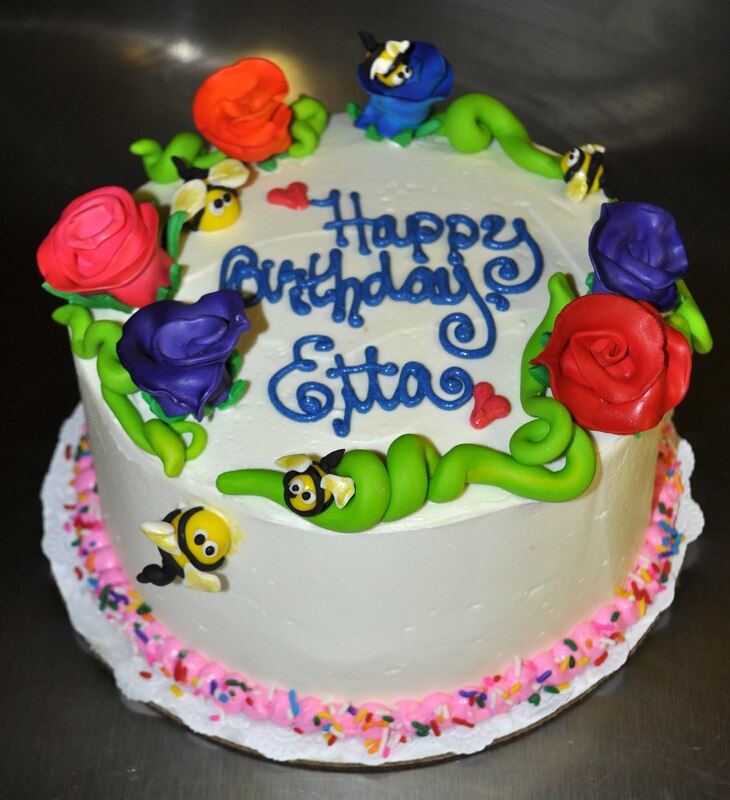 The roses are airbrushed and made out of fondant, as our the little bee's. Now this lady is out to buzz into bed & hopefully have some SWEET dreams!!! This cake was made for Bob, whose granddaughter Brigette is in the navy in Seattle. She runs the nuclear reactors that power the ship, U S S John C Stennis. It is a nuclear aircraft carrier, with a crew of 5,000. Brigette will be deploying to the far east for 8 months. 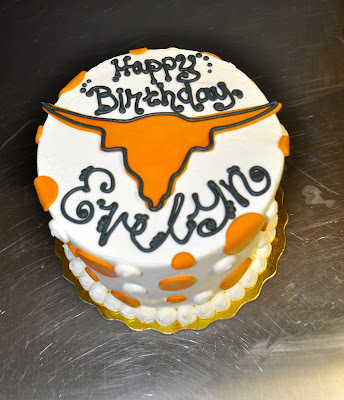 The cake is an 8" old fashioned sour cream cake with buttercream filling and frosting, covered in fondant. I have to give a major shoutout to my brother, Brian, who is home visiting for a while-- and boy did I put him to work-- he painted the aircraft carrier for me!! Oh did I mention, he's a veterinarian!??!? I know, I know- I wish he would just ditch that crappy career path and join me in my cake ventures!! The aircraft carrier was painted on gumpaste with food coloring. Thank you to Brigette and everyone else serving in our military!!!! Hi everyone! I have been really slacking in the blogging department! I have also been slacking big time on my picture taking- I prefer to take shots of cupcakes all setup instead of after the fact when they are already boxed up, so thankfully for this order Arden Prucha Jenkins of Arden Prucha Photography got some awesome shots of the mini's I did for The Bride's Room one year Annivesary! 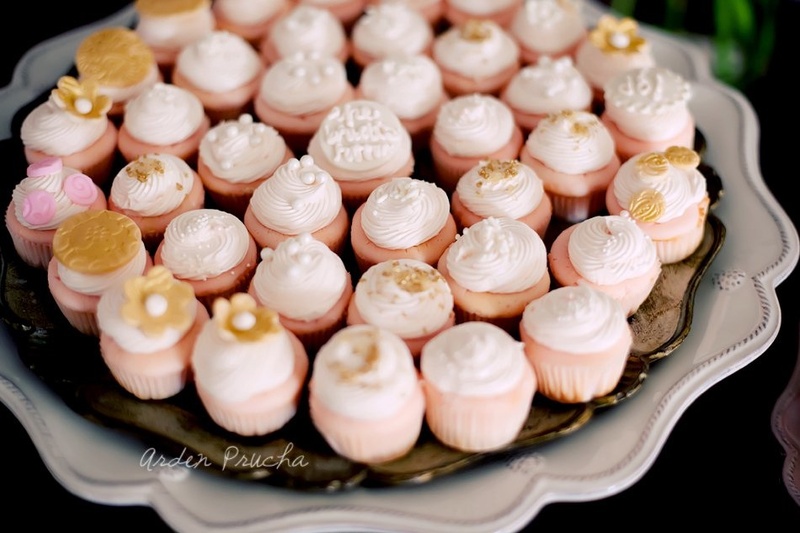 You can check out Arden's Blog post featuring the mini's, The Bride's Room, and her wonderful photography work Here. Kim Gotcher of The Bride's Room contacted me to do some mini's for her one year anniversary of her shop being open, and I was super excited because A. she loves pink as much as I do B. her shop is also on Camp Bowie (and she consequently was feelin' my pain over the permit situation) and C. her shop was sooo cute and all of her dresses were honestly beautiful! I'm a picky gal- and these were definitely top of the line, feminine, modern dresses! To all my Fort Worth friends who have recently become engaged- I really do suggest you go in and take a look! She also has the cutest accessories (my fav) and it's always a fresh of breath air to encounter friendly, honest, down to earth people in this c-r-a-z-y wedding industry!! 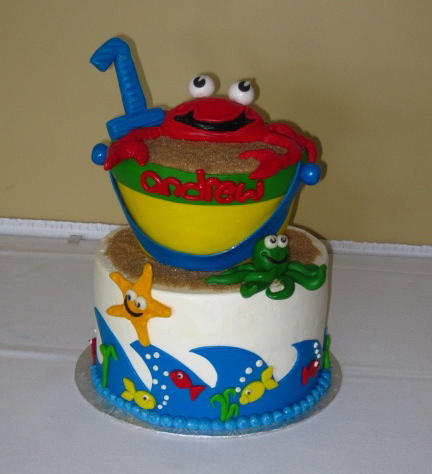 This "Beach Bucket" cake was for Andrew's first birthday at Shady Oaks Country Club! The cake was designed off of the invitation to his pool party. 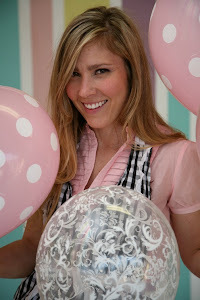 The bucket is a carved 8" white cake with buttercream filling & frosting and covered in fondant. 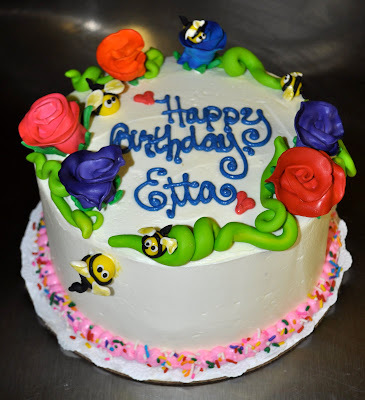 The bottom tier is a 10" lemon cake with fresh strawberries and buttercream filling. The crab, "1", octopus, starfish, waves & fishies are all made out of fondant. The sand is turbinado sugar.